It's the middle of the night. Junior high starts tomorrow. And Madison Kincaid jolts awake to the sound of a phone call from the jailhouse. It's a new case for her father, a renowned defense attorney: Someone's been accused of murdering Madison's second-grade teacher. But no body has turned up. Bent on becoming a lawyer just like her dad, Madison's determined to help him crack the case. At school the next day, Madison finds she's got not one but two mysteries on her plate. Her best friend, Ann, is nowhere to be found, and calls, texts, and Facebook messages aren't getting through. Madison knows that Ann would never just disappear like that -- and she's seriously worried about what might have happened to her. 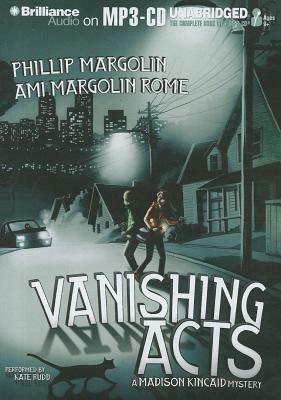 With the help of Jake Stephenson, the new boy -- and a fellow soccer player -- at Pettygrove Junior High, Madison hits the sidewalks of Portland, Oregon, ready to find out just what's hiding behind these two vanishing acts.